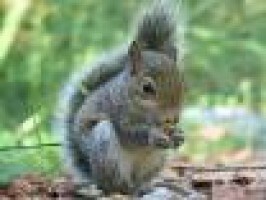 Squirrel Control Corwen undertake all aspects of Pest Control and we can be at your property the same day for any Squirrel problems you may have throughout Corwen and surrounding areas. Squirrel Control Corwen keep our prices as low as possible as we cut down on our advertising, most of our work comes from repeat customers and word of mouth, you will also find that we have a friendly and professional team and we are all fully qualified in all aspects of Squirrel Removal. So if you discover that you have a Squirrel problem, just pick up the phone and givePest Control Wrexham our helpful team a call today, we also work late evenings and weekends so we can be at your property in no time at all. Squirrel Control Corwen offers you a No 1 Service at prices you can afford! Call Our Squirrel Control Team at Pest Control Wrexham Today On: Quote Line 07916 322280. Gray squirrels are approximately 18 inches in length, which includes their 9 inch tail and they weigh about 1-1.5 lbs. as an adult. Their coloration is usually a grayish colour, however they can have tan hairs in the fur as well and they usually have a white belly. Their winter coat is grey above with a white underside and their summer coat is shorter, sleeker and more brownish grey Red squirrels have red/brown upper parts in summer but may show some grey on the back in winter, which can sometimes lead to some confusion. Red squirrels are smaller, lighter, have ear tufts and prominent in the winter coat and brown on the legs and tail. Their natural habitats are wooded areas in tree cavities, and they can also be near hardwoods like oaks and hickory trees. They will also construct feeding shelters out of leafs. They generally have 2 litters a year, 2-4 young per litter and they normally breed in midwinter and late spring. Gestation is about 44 days. Their diet consists of bird eggs, insects, berries, fruit, vegetables, nuts and nestling birds, squirrels also like to hoard their food. The Gray squirrels are most active during the day, and can inhabit the attic areas as well as crawl spaces. They like to enter the attic areas from your gutters and nearby trees and bushes. Installing gutter guards, or down spouts with screen may prevent them from climbing up to the roof through a down spout.